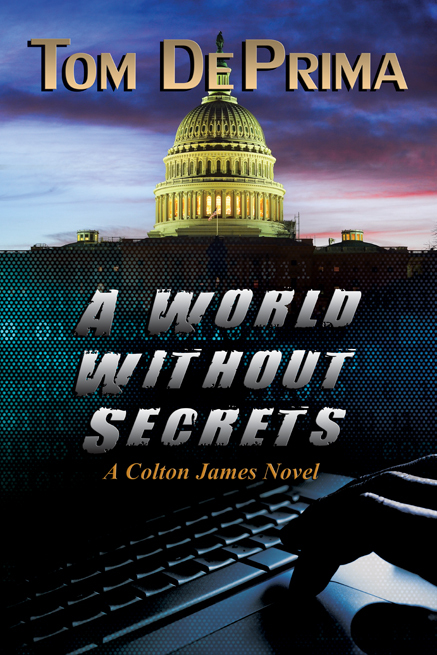 Colton James was just an ordinary man, struggling like the rest of humanity to earn a living from his innate talents and training, until a fateful event in early spring changed his life forever. Before dawn, a reputedly empty five-story apartment building across the street from his flat on New York City's Lower West Side, erupted into a giant fireball. Government agencies later attributed the blast to a gas leak. 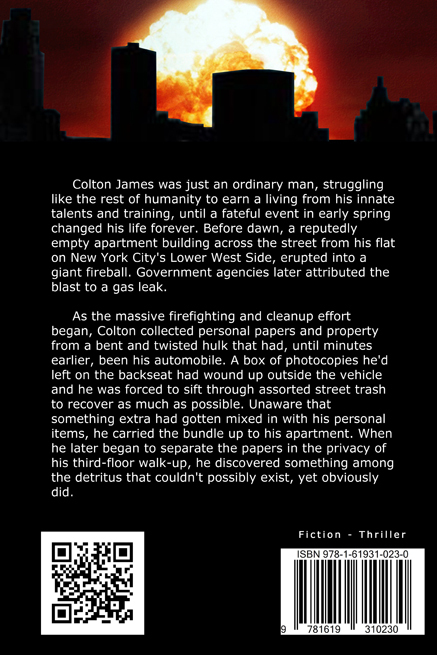 As the massive firefighting and cleanup effort began, Colton collected personal papers and property from a bent and twisted hulk that had, until minutes earlier, been his automobile. A box of photocopies he'd left on the backseat had wound up outside the vehicle and he was forced to sift through assorted street trash to recover as much as possible. Unaware that something extra had gotten mixed in with his personal items, he carried the bundle up to his apartment. When he later began to separate the papers in the privacy of his third-floor walk-up, he discovered something among the detritus that couldn't possibly exist, yet obviously did. At first ecstatic with his find, he begins to formulate grandiose plans to use it to enhance and enrich his life. Then reality raises its ugly head, and he realizes that every government, corporation, criminal organization, and even wealthy individuals would kill to posses it. He must find a way to use it to enhance his existence while never letting anyone know the secret of his success. When he begins to receive anonymous and untraceable emails telling him to 'destroy his find before it destroys him,' he realizes that someone already knows he has it, but he can't fathom why no one has come to reclaim it. He knows that he must discover exactly where it came from if he is to be prepared when someone does come to take it from him, but he needs help. 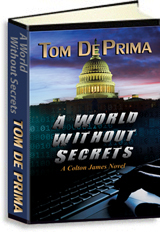 He is forced to do the very thing he wished to avoid— share the secret with others. Too late he learns that his first inclination towards complete secrecy was the correct path.